Have a bachelor or bachelorette party that you want to get started off with in style? San Antonio Top Limo can provide a stretch limo, Hummer limo or SUV limo to get your party rolling. With our amazing luxurious limos, you can get the party started in one of our awesome sleek and stylish limos. With all the latest techie gadgets and equipment, music and lights will accompany you and your guests in our limos. We deliver the party and you get to experience it hands on. ​So you’re getting married and want to have all your friends out on an awesome night in a luxurious limo? Give us a call and we can set you up with an awesome party limo and get the good times rolling. Roll up to some of the best restaurants or clubs in San Antonio and get ready to have a great time. With all your friends riding along with you in one of our limos, you can get the party started even before you arrive to the destination. Just give us the location and time to pick you up and we can be on our way to arrive at your place. Our limos are loaded with lighting, sound systems, and bars. Our professional chauffeur will be ready to greet you and your guests as they step into the luxury you all dream of. Our driver will care to all of your needs in order to make this night a memorable one. You can relax as we take one more thing to plan off of your plate, and sit back as you ride in style through the San Antonio area. No matter the setting, San Antonio Top Limo is ready to provide you with the best limo service in San Antonio. Get the private party started off right with one of our awesome limos, and roll like a rock star downtown to enjoy some great food and music. On a day as important as this, why not kick back and have a great time in a ride made for high rollers. ​Get the good times rolling with your favorite music in our limos and our surround sound systems will make you hear the music like never before. Have a drink or two before you arrive to your destination, and have a conversation with all of your friends while you ride along the streets of San Antonio. Everything is bigger in Texas, and that’s the case for our 22 passenger Hummer limo. With all the space you need for your guests, and the sleek muscular design that gets people looking, you can be sure to arrive in style. Our professional chauffeurs are ready to care for you and your guests every need. With experienced drivers, you can chill in one of our sleek and luxurious limos while you ride along to that club you’ve wanted to go to for some time now. With all of our limo options, you can be assured we have the limo for you. 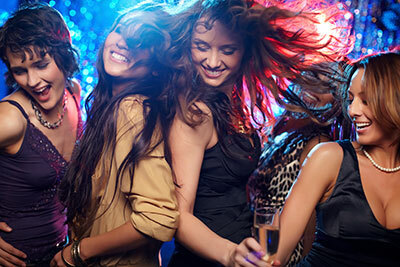 Give us a call today so we can make your bachelor/bachelorette party that much better!